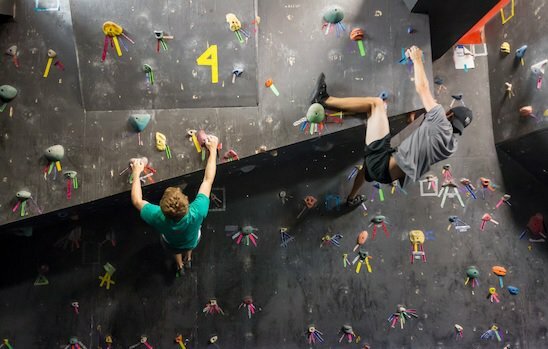 The Crux is one of the tallest indoor climbing gym in North America. This means not only a great experience, but also that we can build fun challenging climbs to challenge your fear and endurance levels. Our routes have a variety of holds making an enjoyable and challenging route for all climbing levels. The Crux is dedicated to providing a facility that meets and exceeds safety precautions. Our staff have a variety of certifications both International and Nationally to ensure all aspects of safety are met. We regularly remove and clean our holds. We maintain our routes and are continually updating them to keep the climbing fresh and interesting. Climbing next to friends is fun. With our large towers there's plenty of room to climb and several viewing decks to cheer or jeer! Our belay areas are wide open too, not confined in cramped corridors, which means you can move around to keep your climber safe. Want more? Why not host a party or corporate event with us? 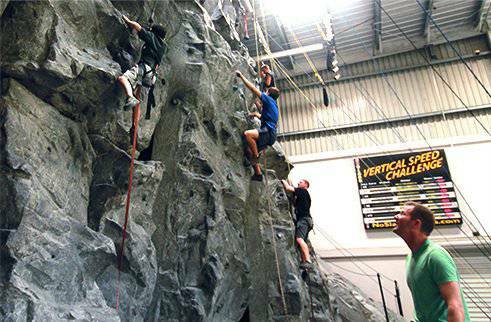 Our trained staff will belay your climbers and keep everyone safe - your job is just to climb and have fun! We also have a nice open area with large tables so you can set up a great party. Climb, and then relax with cake. Everyone likes cake! The Crux is a clique-free environment! We get all types here, but our focus is on a fun friendly atmosphere.  Our staff and regulars are always open to questions or a chat. Want some climb beta? Just ask! We’re newbie-friendly - everyone’s got to start somewhere, and we are passionate about helping you into the great sport of climbing. Want to hone up your Multipitch skills? We have two great Multipitch routes with both standing and hanging belay stances. A great chance to practice without worrying about bad weather rolling in! Climbing up isn't all you can do at The Crux. We have a rappel station at the very top of the tower allowing beginners and experts alike to rappel a full 80 foot to the ground! Are you just starting out, or a grizzled mountain-god? 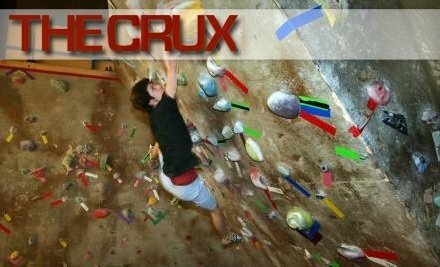 Whatever your skill level, The Crux provides a range of exciting courses to improve your skills. Check out the courses page for more info!